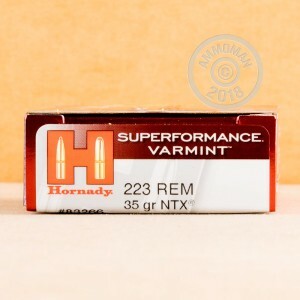 Hornady's Superformance 223 Remington NTX ammunition is the perfect round for all of your varmint hunting needs. This round is polymer tipped and has muzzle velocities of approximately 4000 feet per second in full length barrels. The polymer tip on the bullet causes devastating expansion and fragmentation in soft tissue, and will cause enough damage to drop any varmint where it stands. 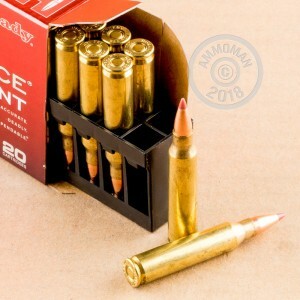 This round can be used on anything from prairie dogs to coyotes, and can even be used on small boar and for home defense. This makes it the perfect round to have loaded in your rifle. Each round uses reloadable brass casings and is completely non-corrosive. 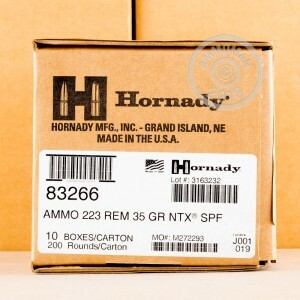 And if that weren't enough, this ammo is lead-free and can be used for hunting in every state!